Our church’s Session and Board each meet once a month. Below is a list of our ministries which each include committees, teams and groups. For more information please contact the church office. The Board of Managers is responsible for managing the finances and church property. The church treasurer and the convener of the Finance Committee draft the annual budget with input from the various committees, including the Personnel Committee which recommends compensation changes for the minister and the paid staff. Throughout the rest of the year, the Board tracks income and expenses, carries out needed maintenance and generally keeps the secular affairs of the congregation on track. The Board meets once a month. The Worship and Music Committee oversees all aspects of activities that take place in the sanctuary. The committee, in conjunction with the Minister and the Music Director, develops and maintains the schedule of worship services throughout the year. The committee also consults with the Music Director regarding the music program and recommends a budget for the committee’s work. Meetings are held at the call of the convener. St. Giles has a tradition of fine music. We are blessed with an outstanding tracker-action pipe organ, a grand piano, a harpsichord, a drum kit, and a Clavinova. Our choir members share their talents with the congregation at regular services during the year. The musical talents of other members of the congregation, both vocal and instrumental, are also featured throughout the year. This musical program is all under the leadership of our Musical Director, Dan Sonier. Choir practices are on Thursday evenings and on Sunday mornings. New voices are always welcome. Babies – Caregivers are available during the service to look after your infants and toddlers in our Nursery downstairs. 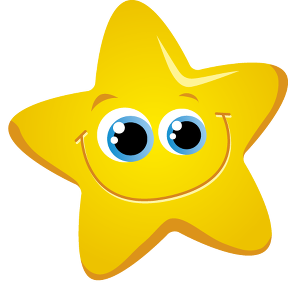 School-aged Children – After the children’s story in the worship service, children are invited to take part in Starlight Sunday School downstairs. Our purpose is to lead children into a relationship with Christ, show them how to live a holy life and get them involved in ministry and evangelism by engaging them in imaginative, bible-based activities and fun fellowship experiences. Youth at St. Giles – Our message to youth here is to Belong, Belove, Believe, Be You and Go Beyond. We encourage all of our youth at St. Giles to share their gifts and talents to glorify God. Former youth from St. Giles who are now young adults have served as guest soloist/pianist, biked across Canada to fundraise for Parkinson’s Disease and taken on a leadership role in Right to Play, an organization that attempts to improve health and living conditions for children in disadvantaged areas through sport and play programs. We rejoice in supporting the energy and faith of all of our youth, both past and present. Our “Synod” (the Presbyterian churches of Southwestern Ontario) offers events for youth throughout the year, including a Fall Rally and a retreat at Camp Kintail on the May long weekend. Camp Kintail is the nearest Presbyterian camp to Sarnia, Ontario. It is located in Goderich, Ontario on the shores of beautiful Lake Huron. Check out their web site for more information about this camp’s enriching programs for children and youth. Camp Kintail is run by our “Synod” (all the Presbyterian churches of Southwestern Ontario) as well as the national church. Many camp programs, including family camp, take place in the summer, and events are offered year round as well. Previous Bible study series have included First Place 4 Health, Abundant Living : Wellness from a Biblical Perspective, Rick Warren’s The Purpose Driven Life, Max Lucado’s It’s Not About Me, and Calvin Miller’s The Path of Celtic Prayer. Please contact the church office regarding current topics and meeting times. The library now contains nearly 500 volumes of fiction and non-fiction, books for children and teens, and several DVDs for the whole family. Our library has a new, permanent home where books are on display whenever the church is open. It is now located in the Quiet Room located just inside the front door. A librarian is available most Sundays to help you choose suitable reading material for you or your children. The librarians catalogue all the new books and are involved in choosing new ones. During the week, our administrative assistant, Avis Fisher, would be glad to help. Contact Janet L. for more information on the morning book club. Click on the link below to see the selections for the 2017/18 year. Contact Felicity B. for more information about the evening book club. A monthly men’s group has been formed at St. Giles which will involve a pot-luck meal. If you have any questions or cannot make the meeting contact Graham R. or the church office. A monthly women’s group has been formed at St. Giles. Past events have included an outing to Forest Glen Herb Farm and a bring-and-share dinner. Contact Felicity B. or Donna G. for more info. The Pastoral Care Team operates in response to the identified need to formalize pastoral care within the church. The committee serves to comfort and care both for those who provide pastoral care at St. Giles and for individuals in our congregation and community. This we do in the love and power of our Lord Jesus Christ. The Pastoral Care Team also provides Session with an understanding of current pastoral care issues and how they are being handled. Currently we have six caregivers in our group and we would welcome more participation by additional people. The team currently visits about thirty members of our congregation who are in hospitals, seniors’ residences, nursing homes or their own private homes. The Pastoral Care Team seeks out people who have an aptitude for this type of ministry, and then provides support to and on-going training for our caregivers. The team also tries to create new forms of pastoral care appropriate to membership gifts and levels of comfort and experience. To make pastoral care at St. Giles a multi-generational activity, we try to enlist a wide range of age groups and communicate frequently with our minister. The Leading with Care program is mandated by the Presbyterian Church in Canada. All groups and people within the congregation and all outside groups who use the premises fall under its purview. The program is intended to minimize the risks to all persons who participate in our activities and ministries and/or use our premises. This includes children and adults whether capable or handicapped, whether involved as leaders or participants. Particular emphasis is put on our work with children, youth and vulnerable adults. Under this program, modifications have been made to various parts of our premises to eliminate identified physical risks. Additionally, procedures have been implemented governing those persons involved in leadership, teaching, assisting, visiting or being present with those who might be at risk. The application of the program is under constant review as activities and people change. The role of the Mission and Outreach Committee is to lead and empower the people of St. Giles in opportunities to respond as a Christian force to the needs of the community and the world. We do this by informing the congregation of needs that have come to our attention within the community and around the world. We engage the congregation in ministry of active Christian service through specific projects, locally and globally. 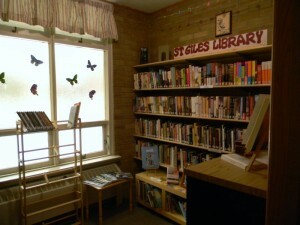 Within our local community, St. Giles donates food, labour and financial help to local community food assistance organizations, such as The Inn of the Good Shepherd. At Christmas we fill hampers of food and gifts for families within Sarnia. 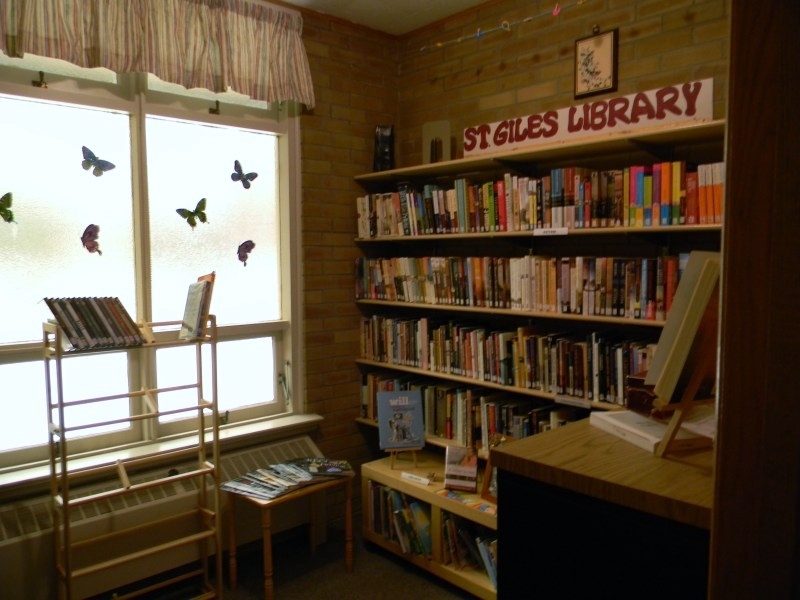 St. Giles contributes financially and has representation on the Board of Directors of NeighbourLink, a cooperative effort of Sarnia churches for individuals and families who need assistance with everyday items or services. 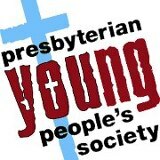 Worldwide, St. Giles supports Presbyterian World Service & Development, the official development and relief agency of the Presbyterian Church in Canada. Families and individuals in St. Giles support the education of eight children at Dr. Graham’s Homes in Kalimpong, India. We also financially support the Canadian Foodgrains Bank, a Christian food aid and development organization. Help is always needed to prepare food and bake for the Inn of the Good Shepherd. Contact Felicity B. at the church for more information. Donations to any of the organizations are always welcome. Just go to their websites to find out more about them and to make a donation. As a service to members, there is a group that serves luncheons following a funeral at the request of the family. Receptions for people celebrating special anniversaries and birthdays are also provided on request. In times of celebration or times of illness, our members are not forgotten. A card secretary sends cards on behalf of the congregation to people who are celebrating special occasions or times of illness or loss. We also connect with students who are away at college or university through cards and other mailings.